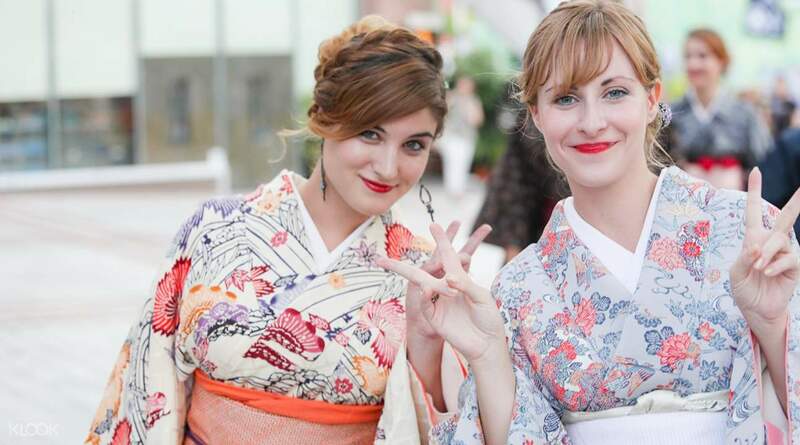 Get memorable photos by visiting nearby tourist spots, all dressed up in a kimono or yukata! Beautiful range of kimonos to choose from, English speaking coordinators to assist you with the wearing of kimono and styling. They did an amazing job tying the ribbon at the back of the kimono and styling of our hair. Bags and shoes were easy to match. Definitely going back to them again. We were able to head to Shurijo Castle for nice pictures. Get unique and one-of-a-kind photos documenting your trip to Okinawa by renting out a kimono or yukata and visiting the nearby tourist attractions, such as Naminoue Shrine, Kokusai Street, and Shuri Castle. Simply choose a rental date and time on the Klook website/app, then show a printed or mobile voucher when you get there. 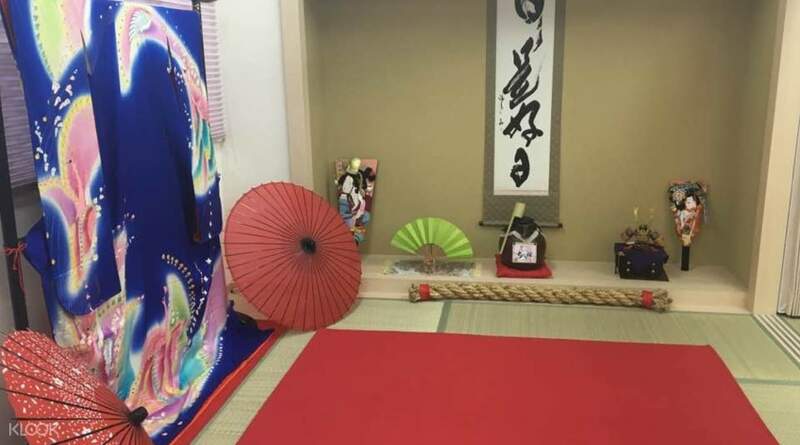 Fully customize your outfit by choosing from hundreds of kimono/yukata designs at the shop, where you'll enjoy a hassle-free dress up experience with the help of the professional staff! Though each set already comes with a belt, tabi, zori, handbag, and even simple hair-styling, women can glam it up a bit more with the optional professional hairstyling and makeup services, and couples can even dress up together by booking the couple set. This is definitely a must-try activity for anyone who wants to get great memories of Okinawa! Take memorable photos with stops at nearby tourist destinations like Naminoue Shrine and Kokusai Street! Beautiful range of kimonos to choose from, English speaking coordinators to assist you with the wearing of kimono and styling. They did an amazing job tying the ribbon at the back of the kimono and styling of our hair. Bags and shoes were easy to match. Definitely going back to them again. We were able to head to Shurijo Castle for nice pictures. 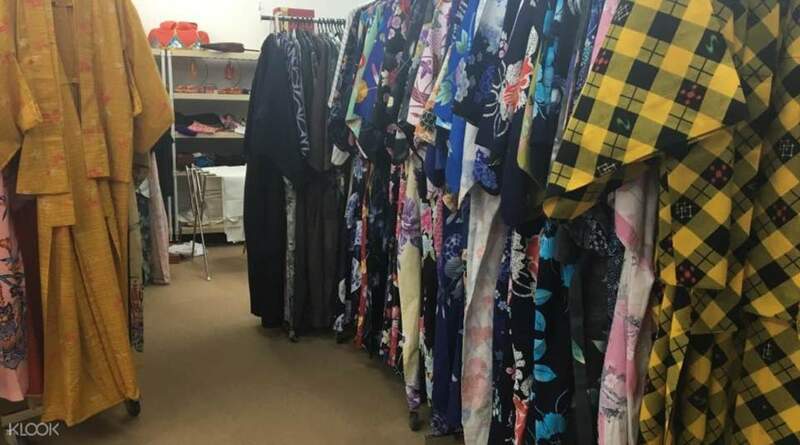 Beautiful range of kimonos to choose from, English speaking coordinators to assist you with the wearing of kimono and styling. They did an amazing job tying the ribbon at the back of the kimono and styling of our hair. Bags and shoes were easy to match. Definitely going back to them again. We were able to head to Shurijo Castle for nice pictures. The staff very friendly.Very great work for helping us to wear kimono n tied hair so nice.Me and hubby love the experience.Also come with nice gift which i like. The staff very friendly.Very great work for helping us to wear kimono n tied hair so nice.Me and hubby love the experience.Also come with nice gift which i like. wonderful experience. a bit hot when walking in the street in 23°C. beactiful dress and hair design. wonderful experience. a bit hot when walking in the street in 23°C. beactiful dress and hair design. Never wear a yukata before. They wrap/tie a lot of clothes and ropes around your tummy. You need to be patience when they pull the rope tight because during the day when you walk around it will be loose. If you didnt make it tight at the first place, it will loose and came off during your trip outside. The staff is very nice and polite. They help us wear them and also do the beautiful hair dressing. In this hot season, there are very less people who wear yukata and walking around like us. Ha ha... we are drowning in our sweat. Anyway, I enjoy the moment very much because I got so many nice and gorgeous pics. Never wear a yukata before. They wrap/tie a lot of clothes and ropes around your tummy. You need to be patience when they pull the rope tight because during the day when you walk around it will be loose. If you didnt make it tight at the first place, it will loose and came off during your trip outside. The staff is very nice and polite. They help us wear them and also do the beautiful hair dressing. 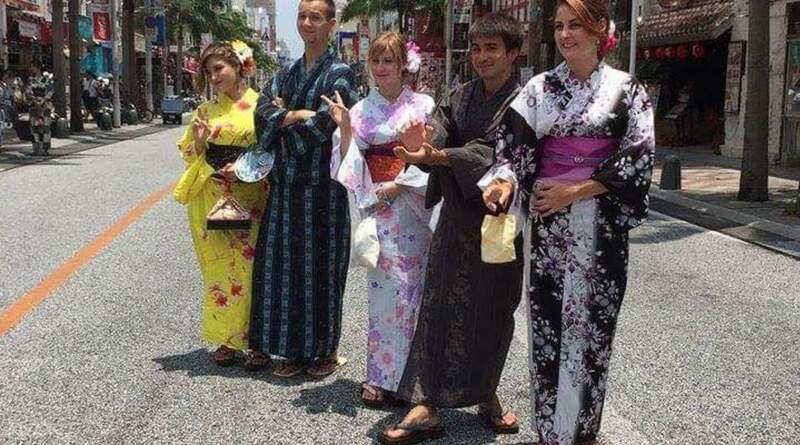 In this hot season, there are very less people who wear yukata and walking around like us. Ha ha... we are drowning in our sweat. Anyway, I enjoy the moment very much because I got so many nice and gorgeous pics. Wonderful experience with the friendly and skillful staffs that did a pretty quick hairdo for us. Wide variety of kimono to choose from and a short walk to the nearest shrine. Wonderful experience with the friendly and skillful staffs that did a pretty quick hairdo for us. Wide variety of kimono to choose from and a short walk to the nearest shrine. Many choices to choose from and price includes hair-do for ladies! Worth every penny although September is really hot👍🏻 Bag and hair accessories included as well. Unable to communicate much as we are unable to speak Japanese but staff are still friendly and helpful! Many choices to choose from and price includes hair-do for ladies! Worth every penny although September is really hot👍🏻 Bag and hair accessories included as well. Unable to communicate much as we are unable to speak Japanese but staff are still friendly and helpful! We had great time and memorable experience in trying kimono. It is one of the highlights for our trip and pictures taken for memories. We had great time and memorable experience in trying kimono. It is one of the highlights for our trip and pictures taken for memories. It’s really good! Diversity of clothing to choose! Staff there were extremely nice with good services! I would like to introduce to you if you are a Japanese culture lover! It’s really good! Diversity of clothing to choose! Staff there were extremely nice with good services! I would like to introduce to you if you are a Japanese culture lover!